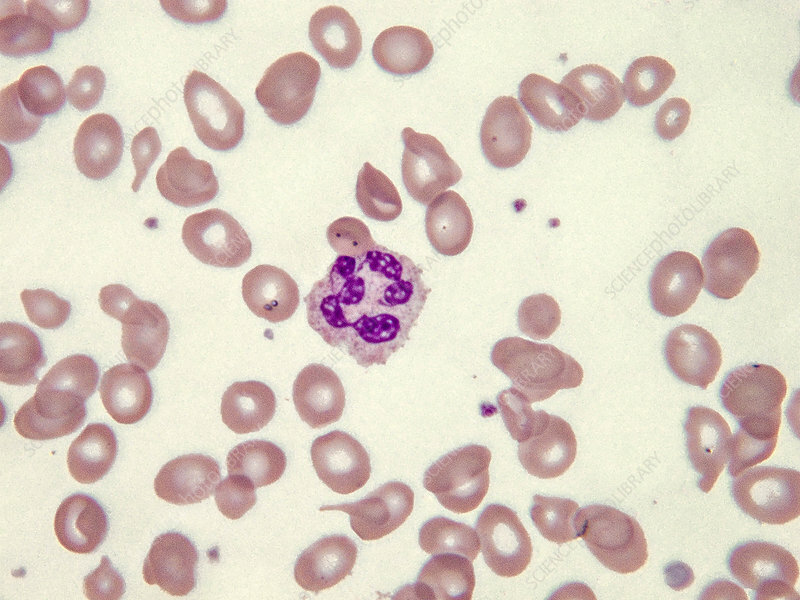 Although normal neutrophils only contain three or four nuclear lobes (the segments), hypersegmented neutrophils contain six or more lobes. This is one of the signs of iron-deficient anaemia. Light micrograph, Wright-Giemsa stain. Magnification: 100x.